The human rights abuses in Cuba are not some historic inconvenience that can be poetically euphemised. There are several immutable rules in politics. One of the most important ones says: when you are in a hole: stop digging. The rule applies outside the rarefied atmosphere of the corridors of power. It even extends to those residing in 18th century palatial residences in the Phoenix Park. Trying to pretend that President Higgins’ statement on the death of Fidel Castro was anything other than fawning and unbalanced is to toss aside the silver shovel and bring in a JCB. Defending the President’s statement from criticism a spokesman said that the statement had clearly referred to the price paid for social and economic development in terms of civil society and the criticisms it brought. The relevant sentence reads: “The economic and social reforms introduced were at the price of a restriction of civil society, which brought its critics.” Twenty (20) words in a statement that was about 430 words in length. That is hardly balanced, especially when you consider the passivity of the language employed. Styling the use of murder to acquire and maintain power as just a “restriction of civil society” is naive dissimulation at best and an insult to defenders of human rights at worst. While some may question the scale of the horrors Castro inflicted, like Stalin or Mao he had absolutely no compunction about lining up thousands, if not tens of thousands, of men and women in front of the infamous ‘paredón’ (the wall) for summary execution. These included former revolutionary comrades such as William Alexander Morgan. Human Rights Defenders: The Cuban government still refuses to recognize human rights monitoring as a legitimate activity and denies legal status to local human rights groups. Government authorities harass, assault, and imprison human rights defenders who attempt to document abuses. Check the President’s twitter feed and you will find that President Higgins’ eulogy to Castro came just two hours after posting a link to his Mansion House speech given on Thursday last as part of the inauguration of the first global memorial to murdered human rights defenders. What a contrast. How incongruous. Side by side on the President’s media page is a speech praising human rights defenders and a statement eulogising a man who systematically oppressed human rights defenders. I do not for even one second doubt the sincerity of the President’s ongoing commitment to human rights or of his lifelong work in this area, but I do question his judgement. He damages these causes when he puts his simplistic and romanticised notions of the Castro legend ahead of the more complex reality – even under the guise of “de mortuis nihil nisi bonum” (don’t speak ill of the dead). Castro was a divisive figure. To some he was the “scourge of the west” and the great liberator, to others he was a megalomaniac autocrat who preached socialism while living like a king with his own private island. The fact is that he was probably both. Sadly, our President does not see it this way. So, instead of issuing a statement that observed the diplomatic niceties by extending the sympathies of the Irish people to the Cuban people on their loss and noting Castro’s place in world history, our President opted to go much further. He decided to internationally proclaim a glowing and lengthy tribute – and all in our name. I can understand how many young people in the 1950s and 1960s initially fell for the idealised version of Castro. He overthrew a corrupt, puppet regime in the face of US opposition and introduced massive agrarian and education reforms. This was also the golden age of photojournalism. The early black and white photos of Castro and Guevara are iconic, portraying two young men standing up against the odds. But there comes a point when you get past the bedroom poster version of world politics and see things as they really are. The real world is not so photogenic. It is murkier and less stark with many confusing shades of grey. In the real-world politics is conducted in prose, not in poetry. I don’t like seeing our President, or more correctly his views, being compared with those of Jeremy Corbyn and I don’t like that it is our President who has put himself in that position. 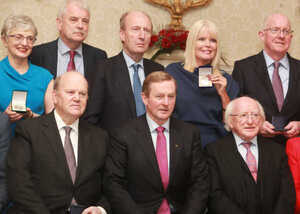 The Áras brings many privileges, but they come at the price of the loss of many personal freedoms. This includes having to temper your own personal views and recognise that when you speak you no longer do as just a private citizen. While the President has seemed not to grasp this point on several occasions in the past, something usually dismissed as Michael D. being Michael D., this time he has strayed further across the line. This is not a resigning matter – but it does make one wonder if we want another seven years of these particular lines being tested? Posted in Misc and tagged Derek Mooney, Mooney on Monday at 10:15 am on November 28, 2016 by Derek Mooney. I’m normally a big fan of Pres. Higgins but on this occasion he really should have reigned it in. Castro only looked like a giant because he crushed others. He was in power so long because he did not allow opposition nor elections. As was pointed out last night, other South American countries experienced Health & Education reforms but didn’t need a dictator to do it. Really? I didn’t know other Central American countries had free universal healthcare and education to university level – which countries are they? In fairness, everyone is a giant compared to Higgins. I think the eulogisation of Castro is a small part of a broader “my enemy’s enemy is my friend” phenomenon: normally decent people with left-wing views will often overlook horrific human rights abuses from left-wing dictators/despots, so long as the leader in question delivers on plenty of anti-American / anti-capitalist rhetoric during their rule. or they’ll recognise that horrific human rights abuses happen on a daily basis in pretty much all corners of the world, so no one is pure and perfect. let the capitalists who have committed zero human rights abuses to amass their wealth cast the first stone..
@RobG: No one ever escaped to Cuba in a tractor tyre. This rich white man doesn’t like a dead politician who took power and wealth from rich white men. I think that the article is saying the President Higgins should ease off on the platitudes for a man who used to round up gays and put them in concentration camps. 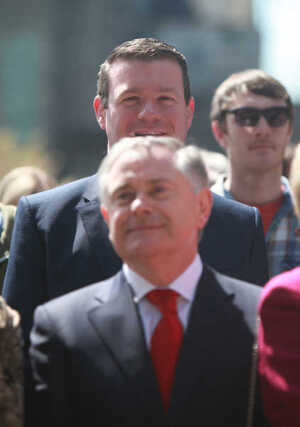 That would be Derek Mooney of Fianna Fáil who banned their political opponents from the airwaves for 25 years. And this state flew our flag ar half mast after the death of the king of the despotic monarchy of Saudi Arabia. I take it you mean Sinn Fein? And here we are again. Someone using the the ‘white’ thing like a brick to throw around without a hint of irony. Less reading american left sites and more engaging your own brain. +1 The Left is incapable of reading news from anywhere but the left with the result being that blinkered horses see more of the real world than those who solely consume left-news-media without question, in all fairness. How does that not apply TIMES A HUNDRED FUPPING THOUSAND for the right? Let’s not inherit the American’s ridiculously granular racial distinctions. +1 and an end to identity politics! Are you ABSORBING Breitbart daily now? When black men are being killed and imprisoned at massively disproportionate levels to anyone else and people protest about, that’s not identity politics. When Donald Trump wins power on the back of the white vote ALONE on the back of a flagrantly racist and nativist campaign – that, my friend, is identity politics writ large. I’m guessing you’re not american. You don’t need to be American to recognise that the rich have always taken advantage of the poor and that in the history of humanity rich white men have done more damage than any other group. You and people like you are the problem – you think you’re like them, but really you’re like us. They will chew you up and spit you out before the end, and you will realise that your whole life was spent kicking the wrong way. The wee man thought he should have said something. When he probably should have just kept his mouth shut. This goes on to prove he was always just another weasel politician , all talk, no real convictions to stand by (or research). The lazy Lilliputian thought he could score some quick points with the “Che” t-shirt crowd. (from the nineties) . Glad he was called out on it so quickly. Now he can go back to Bag End and finish his poetry book. Uachtarán na hÉireann: the foreign policy savvy of Justin Trudeau in the body of Yoda. Ah come now… MDH’s was no where near anything like Trudeau’s demented virtue signaling nonsense…. poor Canada, in fairness. Imagine if that paragraph was about a female president and the snide remarks about his height were replaced with snide remarks about her gender. It doesn’t work that way. If it was about a female president. Id be making fun of her height, and only then if she was freakishly tall for a woman. (as Higgins is freakishly small for a man) Id probably say she was married to the giant from Jack and the Beanstalk or something, so as to keep it in the literary fairytale theme. What your saying is kind of sexist because your equating a male physical borderline deformity to being a regular female. No, I’m equating something that the president is born as with something that another president would be born as. He’s still a lady garden. Can anyone tell the difference between Castro and local clergy? Castro killed with guns and corruption, church killed with neglect and corruption. Cubans educated a lot of doctors over the years, including american students who could not afford medical schools in the States. Not all is black and white with Cuba. And it never turned as bad as Haiti, ‘poster boy’ of freedom. We should all properly reflect and repent on septic tank lined by with baby corpses. And you, Mr. Mooney, should too, you’ve been cheerleader for finna fail alter boys yourself. Curb your enthusiasm, please. Bad as the Catholic Church were in Ireland, they didn’t line people up against a wall to be shot. … and since October 1980? Have you never met a Cuban outside of Cuba? Acknowledged, free exit was and is a big plus for these who had/have the means to leave and get a visa to do so. Does not change dictatorial nature and methods of institution though – control over politics, judiciary, education, health services, [etc]. Just another authoritarian flavor, with thinning vale of grand human ideals. There are far worse regimes that we gladly do business with. There are far worse regimes we wax lyrical about. We do business with China, no doubt, but would we really leave fawning tributes to their dead despots? With President Student Grant at the helm, we probably would. what, so one president pays tribute to another president on his death and ye all get your knickers in a bunch? he did the same when thatcher died, commending her on her achievements. it’s what being a diplomat is all about lads, relax ffs. Dictatorships usually follow the 5-step plan above. Cuba’s president for life of Cuba was just a cooler delivery system for this wretched credo. he didn’t lick it off a stone you know. batista before him also came to power via a military coup and spent his second term rowing back on reform, amassing his personal fortune, placing his mates in positions of influence and stamping out debate. no, it’s just that a presidential tribute on the death of another head of state is not the time to go lambasting someone on their human rights record. if trump kicked the bucket tomorrow there would be no mention of his racism or his misogyny would there? what higgins said of castro is actually a lot more measured than ahern said of haughey, for example. Or is he the brutal dictator because you couldn’t do business with him? The world is filled with regimes that are a lot worse. But you wont hear a word mentioned against them, if there’s some money to be made. That doesn’t absolve Castro of guilt though. No, a brutal dictator is a brutal dictator. I think that, whatever his personal feelings about Castro, President Higgins went too far in eulogising Castro in his message. Rob, it was OK in 1945 and never been condoned formally by respective party and its leader (as in – history lessons examined). Who also turned a blind eye to smuggling war criminals into the country. You might still remember the publisher of your schoollbooks, don’t you? Times changed? Not radically. 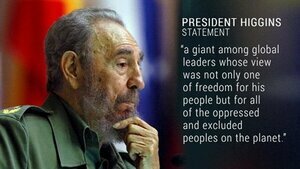 Whether I agree or not with president’s sympathies on Castro passing, these are inline with our history. Of course not, Rob, I will not argue with that at all, it would be silly. But history forgotten is history to come. I believe it’s the reason we’re dragging so much of dangerous legacy we should have dealt with and moved on. On a positive side, I haven’t seen history rewritten yet, like the empires routinely do. It’s a really good sign. Neither are the ones in Ireland. We get it: you think socialism is OK until college ends.You worked for a right wing party whose leader was probably the most corrupt politician in the nation’s history,aside from his former boss.You don’t like what Fidel represents.You are only given a column here to provide rhetorical balance.Thanks. MDH could have been less gushing on Castro, in fairness. 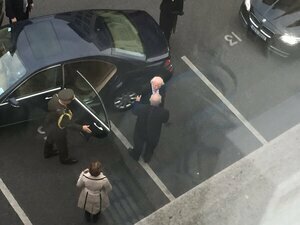 No one was expecting, or now demanding, a complete turnaround in President Higgins’ feelings on fondness for Castro. He obviously liked the guys revolutionary spirit and his political leanings. But it was a huge blunder (and I would say an insult to those who suffered under Castro) to not adequately point out in his statement the anti-democratic, despotic, anti-human rights, torturous and inhumane actions that Castro was and still is directly responsible for. 20, very weak and non-commital words do not adequately address this. I expected better from him (and his office). Sure, we know he liked the guy, but the bias in the statement was mind-blowing. Yet none of these righteous little free marketeers have any problem with China who executed 1000 people so far this year or Saudi Arabia who still have execution by public stonings as well as firing squad for crimes such as house break-ins and converting to a faith other than Islam. They reserve their righteous criticism for dictators who don’t do business with banks and international corporations. 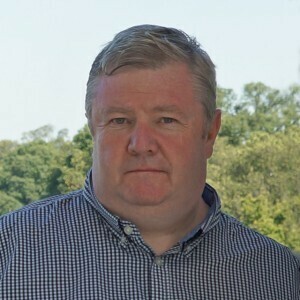 The criticism of Higgins is disingenuous, fear of the proles thinking, is what it is…they tried to assassinate Castro 800 times because US fruit and sugar corporations lost their plantations, not because he deported thousands and restricted elections..
Yer all listening to too much Newstalk and Michael O’Leary’s rants. If Derek Mooney is that concerned about human rights he could maybe become involved in working to help those asylum seekers in direct provision.The Cubans can look after themselves. Look at the regimes leaders are silent about. That will tell you more about the how world works. Not all brutal dictators are criticised in equal measure. So just to be clear, the statement wasn’t enough to cause a misunderstanding around the presidents morals/belief, and the lack of “balance” was clarified by the follow up statement. So all you’re doing is harping on about a non-existent issue, sure to cause a divisive argument in the comments,, purely to push traffic on you’re own article and gain publicity? Correct. False outrage is all the rage, extinguishes any critical analysis, the loudest equals the most righteous. Human rights are nothing compared to a beard, cigar and a knowing but cheeky smile. If the Chinese president died tomorrow how much of the speech would be about human rights abuses? The Saudi King is the darling of the West, and he’s a medieval monster. Michael D. made a misstep here, big time, the left has it’s really ludicrious blind spots, left wing autocrats being completely different to right-wing autocrats kind of thing, Corbyn being the ultimate form. No social progress is worth dictatorship. But what president was going to condemn the death of another president? Mary Robinson came under serious fire around trade missions to Argentina and the whole Pinochet thing. Our entire public discourse si about putting trade and FDI ahead of human rights and democratic principle – yes, shock horror, the left are guilty too. Perspective needed on both sides here. One man’s murderous dictator is another man’s “giant among global leaders”. Wait until Dear Leader Adams shuffles off this mortal coil and vomit at the eulogising that will happen. yep, it’ll be much the same as was said about paisley when he died. FF yes man who worked for Bertie who had no bank account and won it all on the horses moralises about a known left wing academic and politician remarks about a pivotal leader of the left. Left wing man praises other left wing man. Nothing to get excited about. Of far more interest is a comment I read stating that 90% of Cuban adults have their own home. An admirable scenario but why would the Irish left celebrate home ownership? Given that many of them fundamentally disagree with private property. A lot of people are taking that line. It’s not whatabouttery – it’s pointing out that we have our official noses so far up the holes of autocrats who pay us off – let’s not go ballistic when we don’t condemn them after their death and before their funeral. I think we’d be in agreement for the most part. The Americans the great lovers of democracy have their own concentration camp in Guantanamo Bay which is in Cuba, the inmates have no protection either of the American Constitution or International law. I would not expect much more from a FF mouthpiece to knock Higgins, Cuba has been under siege by American CIA since day one, the Bay of Pigs just the tip of the Iceberg, no wonder Cuba and Fidel became concerned about security. Do not forget that America placed a complete economic boycott on Cuba for nearly 60 years against International law. And so they took it out on the gays.